The battle "normal" people, parents, grandparents, sons, daughters, are now engaged in, is against a political agenda, it has nothing to do with the rights of a specific segment of our society. All those laws that have recently been put in action in the western world, supposedly to protect women is directed against a specific group, Men, but if we look deeper, it is also against women who work but do not consider themselves feminists, stay at home moms, wives, so on. So this fight has expanded to include...women. This is a big chunk of society who is been demonized for a political agenda and or financial benefit using falsified statistics, as a matter of fact, they(and I mean old cat loving feminists and their manginas) are taking on, the majority of people. This is they way the Bolsheviks took over Russia, they did not have the support of the majority in 1917, it is also the way the nazis did it in 1933, they also did not have the support of the majority. But look at the damages they did, because people looked the other way. They pitted the majority against each other and sneaked in the middle. The same thing is happening in our society because to many are looking away from the damages these few anti male groups are doing to families. Women are as disgusted by the actions of these radicals as much as men are, and that is the point, as important as the men's right movement is for the next generation, it cannot succeed without women, and from what I can tell, women are as pissed as men are. And that puts us in the majority, since when does the minority dictate to a majority? Here is a few examples, by women, written by women, and put out there by...yes, women. This one is interesting, because this is exactly, word for word, what the local shelter, in carleton place ontario did, or try to do with one of my daughters, the youngest, they were so devilish about it, I recently found out one of it's staff kept my daughter close, to prevent her from coming home(now you know why I'm so pissed). 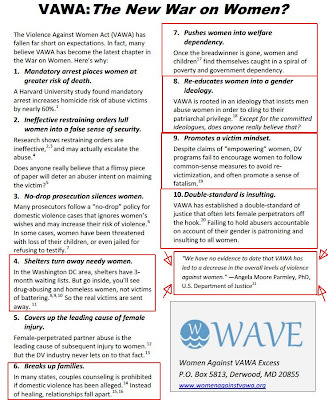 I also investigated and found, women use said shelter to get custody of children, false accusations in order to be put on top of the list to get emergency help, teenage girls "coached" to say they were abused if the parents refused to sign for welfare, so on..
Re-educate women into gender ideology,(when women go to shelters they are "obligated to attend" anti male sessions). This as we know increases false statistics in favor of women's shelter, and the demand for more funding also increases under these circumstances. To be fair about it, this is an open policy for all shelters, not just the one above. By following this mandate, tax payers funds are wasted on ideology instead or the mandate they are given. TO HELP. 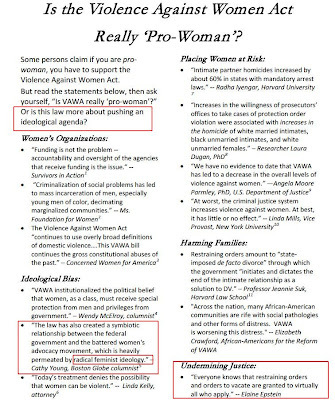 I was pleased to read this one, notice all written by...women, were I have been saying all along that feminism is a radical political ideology, nothing to do with women's rights, making women dependent on government and it's feminist allies, which also undermines justice and makes the next generation even more dependent, by not weeding out anyone who makes false allegations, and keep them in their ranks as a false statistic for next years funding. I do not promote the closure of shelters, but the firing of the existing ideological staff, replace them with men and women who are realistic. The shelter "industry" does not belong to cal loving, man hating old hags, who suffer from an inferiority complex, if someone has suffered at the hands of their spouse, then is it not beneficial to have men and women helping, showing, not all are the same and eventually send this person back into the world with the confidence that what happened, was the act of an individual, not a group. Instead of using this person as a tool, making them a permanent victim? permanent victim syndrome, perpetrated by the shelter industry. 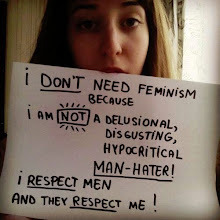 Definition of mangina: A male of the species who gave up his masculinity, supports anti male rhetoric, or feels inferior to masculine males and now call himself a feminist or found his feminine side to boost his failing moral. Definition of a Man; The male of the species debating whether to defend the right of a mangina to exist. (lol) On the serious side; A male of the species who knows he does not have a feminine side.